I bought an an icecream maker. Not recently – it actually has been waiting for me on my fridge to open it since January. (Do not ask what possessed me to buy an icecream maker in minus degrees but I DID). So I have unpacking it in the last couple of weeks and experimenting. Not too much, but last week I went for Afternoon Tea with some fellow food bloggers, Ginger from Ginger and Bread, Selma from Selma’s Table, Indira from I’ll Cook you Wash and Justine from Eclectic Odds and Sods. It was great to meet other people who are as obsessed with Food as I am. 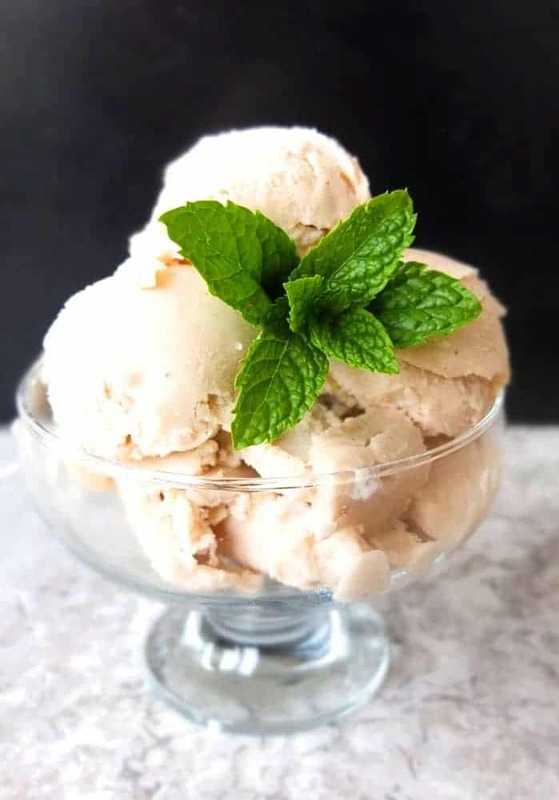 I was complaining about my ever expanding waistline because all those ice cream recipes have a tonne of cream in them, and Indira mentioned to me that you could just substitute the cream for coconut milk! As soon as I came home I was on a mission to find a recipe! And found one in my melt – ice cream cookbook. 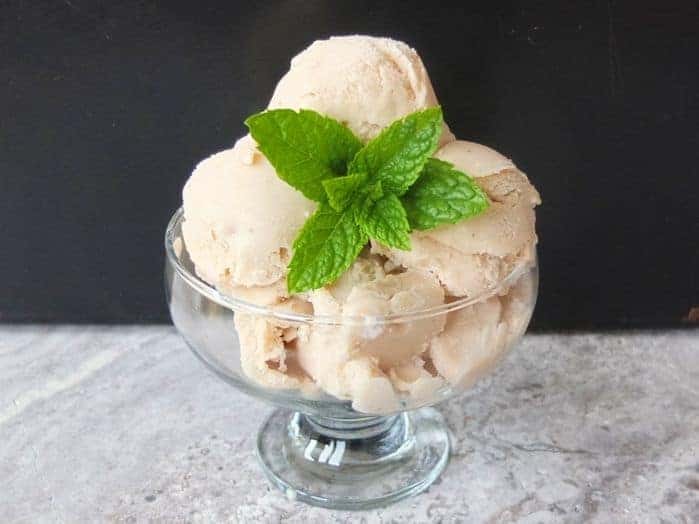 Oh I am excited about this The No Cream – Ice Cream Recipe. 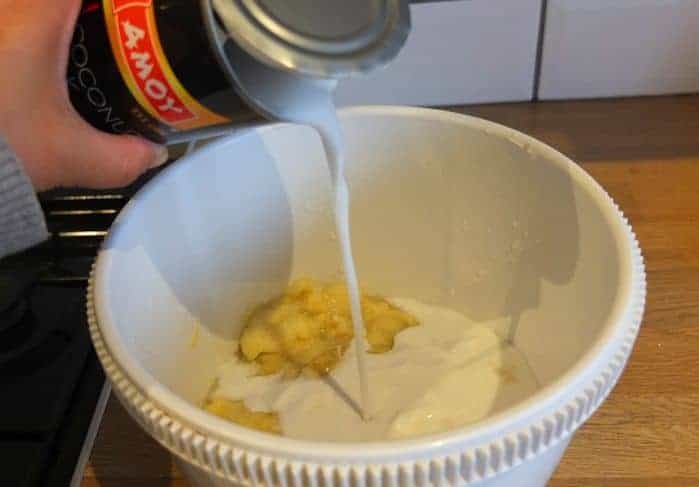 This recipe is soooo easy to make because you only need 3 ingredients. It’s also sooo yummy. Roasting the bananas make them even more sweet and give them a very subtle texture. 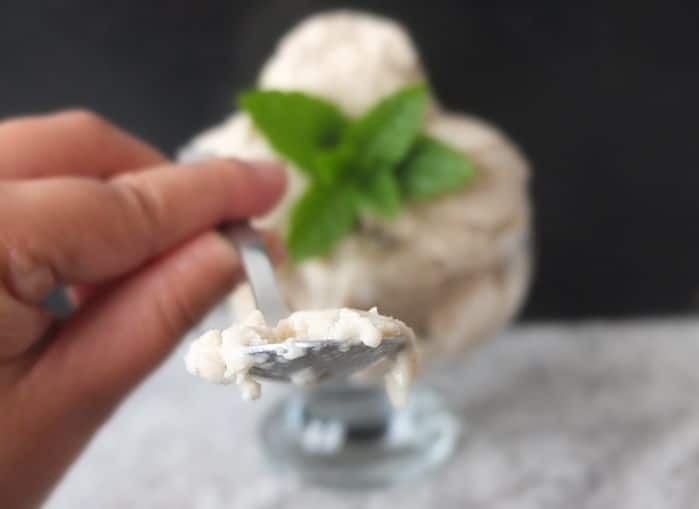 The coconut flavour is not too overpowering and the fact that I have not feel to guilty when indulging in a little bowl of icy deliciousness makes it a winner. Set the oven to 180 degrees Celsius. 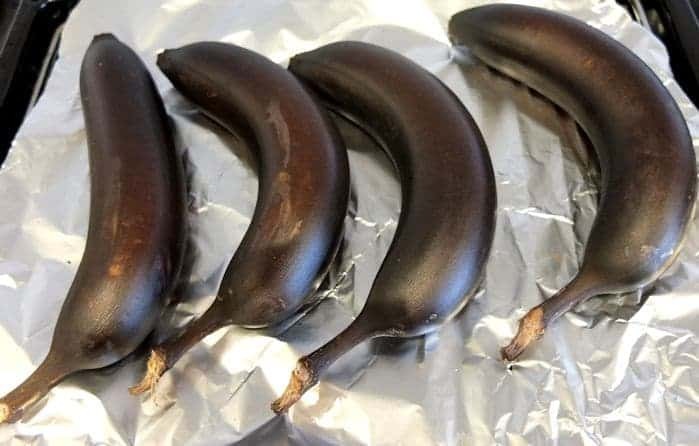 Roast the bananas in their skins for about 15 minutes until they are black and soft. Remove the bananas from the oven and peal them while still warm. Scoop our the soft flesh into a bowl and match to a fine pure. Add the salt and coconut milk. Using a hand blender puree until smooth. Churn in a machine or stir freeze. Leave around 25 minutes to soften the ice cream in the fridge before serving.